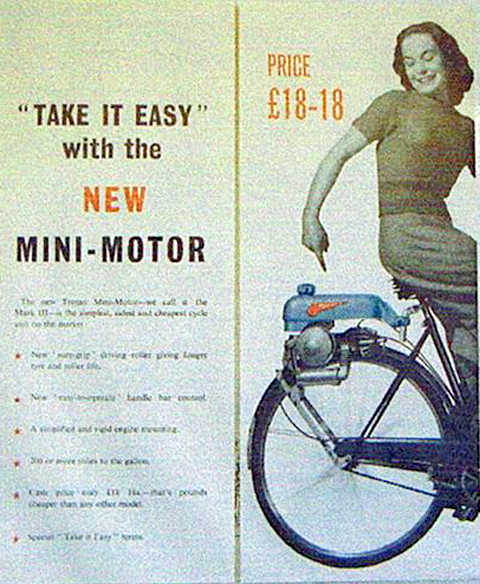 The Mini Motor was one of the best-known of the British clip-on engines, and was introduced in Great Britain in 1949. 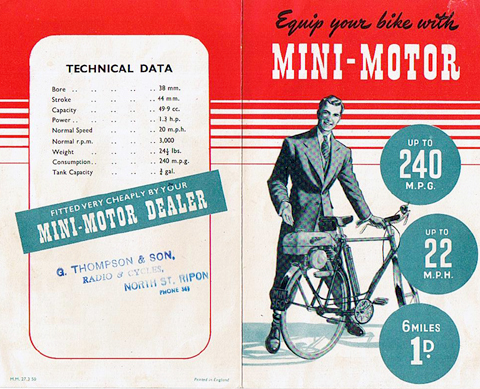 This restored Mini-Motor Engine is in excellent condition, while the Raleigh ‘Superbe’ bicycle has wonderful original unrestored paintwork. This is one of the nicest outfits I’ve come across. I bought it in 2007 for my personal collection, and it has recently come out of storage. My mechanic has serviced, cleaned and polished it. 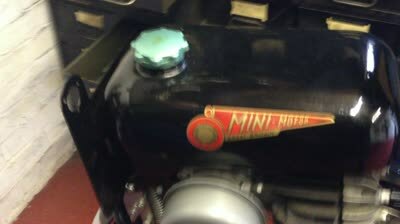 It’s a practical machine for regular cyclemotoring, as well as to display at shows and rallies. You can see a video of the engine running further down the page.